An early-warning radar is any radar system used primarily for the long-range detection of its targets, i.e., allowing defences to be alerted as early as possible before the intruder reaches its target, giving the air defences the maximum time in which to operate. This contrasts with systems used primarily for tracking or gun laying, which tend to offer shorter ranges but offer much higher accuracy. Radar is a detection system that uses radio waves to determine the range, angle, or velocity of objects. It can be used to detect aircraft, ships, spacecraft, guided missiles, motor vehicles, weather formations, and terrain. A radar system consists of a transmitter producing electromagnetic waves in the radio or microwaves domain, a transmitting antenna, a receiving antenna and a receiver and processor to determine properties of the object(s). Radio waves from the transmitter reflect off the object and return to the receiver, giving information about the object's location and speed. EW radars tend to share a number of design features that improve their performance in the role. For instance, EW radar typically operates at lower frequencies, and thus longer wavelengths, than other types. This greatly reduces their interaction with rain and snow in the air, and therefore improves their performance in the long-range role where their coverage area will often include precipitation. This also has the side-effect of lowering their optical resolution, but this is not important in this role. Likewise, EW radars often use much lower pulse repetition frequency to maximize their range, at the cost of signal strength, and offset this with long pulse widths, which increases the signal at the cost of lowering range resolution. The pulse repetition frequency (PRF) is the number of pulses of a repeating signal in a specific time unit, normally measured in pulses per second. The term is used within a number of technical disciplines, notably radar. The canonical EW radar is the British Chain Home system, which entered full-time service in 1938. It used a very low pulse repetition of 25 pps and very powerful transmissions (for the era) reaching 1 MW in late-war upgrades. The German Freya and US CXAM (Navy) and SCR-270 (Army) were similar. Post-war models moved to the microwave range in ever-increasingly powerful models that reached the 50 MW range by the 1960s. Since then, improvements in receiver electronics has greatly reduced the amount of signal needed to produce an accurate image, and modern examples the transmitted power is much less; the AN/FPS-117 offers 250 nautical miles (460 km; 290 mi) range from 25 kW. EW radars are also highly susceptible to radar jamming and often include advanced frequency hopping systems to reduce this problem. Chain Home, or CH for short, was the codename for the ring of coastal Early Warning radar stations built by the Royal Air Force (RAF) before and during the Second World War to detect and track aircraft. Initially known as RDF1, and given the official name Air Ministry Experimental Station Type 1 in 1940, the radar units themselves were also known as Chain Home for most of their life. 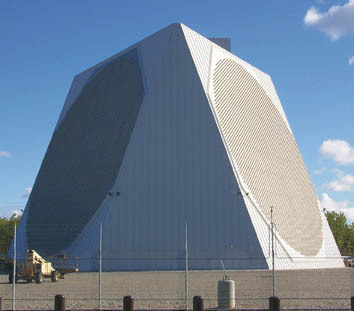 Chain Home was the first early warning radar network in the world, and the first military radar system to reach operational status. Its effect on the outcome of the war made it one of the most powerful weapons of what is today known as the "Wizard War". Freya was an early warning radar deployed by Germany during World War II; it was named after the Norse Goddess Freyja. During the war, over a thousand stations were built. A naval version operating on a slightly different wavelength was also developed as the Seetakt. The CXAM radar system was the first production radar system deployed on United States Navy ships, operating in the mid-high VHF frequency band of 200 MHz. It followed several earlier prototype systems, such as the NRL radar installed in April 1937 on the destroyer Leary; its successor, the XAF, installed in December 1938 on the battleship New York; and the first RCA-designed system, the CXZ, installed in December 1938 or January 1939 on the battleship Texas. Based on testing in January 1939, where the XAF was more reliable, the US Navy ordered RCA to build six XAF-based units for deployment and then shortly thereafter ordered 14 more. The first early-warning radars were the British Chain Home, the German Freya, the US CXAM (Navy) and SCR-270 (Army), and the Soviet Union RUS-2 [ ru ]. By modern standards these were quite short range, typically about 100 to 150 miles (160 to 240 km). This "short" distance is a side effect of radio propagation at the long wavelengths being used at the time, which were generally limited to line-of-sight. Although techniques for long-range propagation were known and widely used for shortwave radio, the ability to process the complex return signal was simply not possible at the time. The SCR-270 was one of the first operational early-warning radars. It was the U.S. Army's primary long-distance radar throughout World War II and was deployed around the world. Its also known as the Pearl Harbor Radar, since it was an SCR-270 set that detected the incoming raid about 45 minutes before the December 7, 1941 attack on Pearl Harbor commenced. Radio propagation is the behavior of radio waves as they travel, or are propagated, from one point to another, or into various parts of the atmosphere. As a form of electromagnetic radiation, like light waves, radio waves are affected by the phenomena of reflection, refraction, diffraction, absorption, polarization, and scattering. Understanding the effects of varying conditions on radio propagation has many practical applications, from choosing frequencies for international shortwave broadcasters, to designing reliable mobile telephone systems, to radio navigation, to operation of radar systems. In physics, the wavelength is the spatial period of a periodic wave—the distance over which the wave's shape repeats. It is thus the inverse of the spatial frequency. Wavelength is usually determined by considering the distance between consecutive corresponding points of the same phase, such as crests, troughs, or zero crossings and is a characteristic of both traveling waves and standing waves, as well as other spatial wave patterns. Wavelength is commonly designated by the Greek letter lambda (λ). The term wavelength is also sometimes applied to modulated waves, and to the sinusoidal envelopes of modulated waves or waves formed by interference of several sinusoids. To counter the threat of Soviet bombers flying over the Arctic, the U.S. and Canada developed the DEW Line. Other examples have since been built with even better performance. 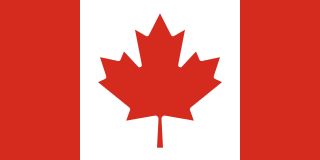 An alternative early warning design was the McGill Fence, which provided "line breaking" indication across the middle of Canada, with no provision to identify the target's exact location or direction of travel. Starting in the 1950s, a number of over-the-horizon radars were developed that greatly extended detection ranges, generally by bouncing the signal off the ionosphere. The Distant Early Warning Line, also known as the DEW Line or Early Warning Line, was a system of radar stations in the far northern Arctic region of Canada, with additional stations along the North Coast and Aleutian Islands of Alaska, in addition to the Faroe Islands, Greenland, and Iceland. It was set up to detect incoming Soviet bombers during the Cold War, and provide early warning of any sea-and-land invasion. Over-the-horizon radar, or OTH, is a type of radar system with the ability to detect targets at very long ranges, typically hundreds to thousands of kilometres, beyond the radar horizon, which is the distance limit for ordinary radar. Several OTH radar systems were deployed starting in the 1950s and 1960s as part of early warning radar systems, but these have generally been replaced by airborne early warning systems. OTH radars have recently been making a comeback, as the need for accurate long-range tracking becomes less important with the ending of the Cold War, and less-expensive ground-based radars are once again being considered for roles such as maritime reconnaissance and drug enforcement. Today the early warning role has been supplanted to a large degree by airborne early warning platforms. By placing the radar on an aircraft, the line-of-sight to the horizon is greatly extended. This allows the radar to use high-frequency signals, offering high resolution, while still offering long range. A major exception to this rule are radars intended to warn of ballistic missile attacks, like BMEWS, as the high-altitude exo-atmospheric trajectory of these weapons allows them to be seen at great ranges even from ground-based radars. An airborne early warning and control (AEW&C) system is an airborne radar picket system designed to detect aircraft, ships and vehicles at long ranges and perform command and control of the battlespace in an air engagement by directing fighter and attack aircraft strikes. AEW&C units are also used to carry out surveillance, including over ground targets and frequently perform C2BM functions similar to an Air Traffic Controller given military command over other forces. When used at altitude, the radar on the aircraft allows the operators to detect and track targets and distinguish between friendly and hostile aircraft much farther away than a similar ground-based radar. Like a ground-based radar, it can be detected by opposing forces, but because of its mobility, it is much less vulnerable to counter-attack. The RCA 474L Ballistic Missile Early Warning System was a United States Air Force Cold War early warning radar, computer, and communications system, for ballistic missile detection. The network of 12 radars, which was constructed beginning in 1958 and became operational in 1961, was for detecting "a mass ballistic missile attack launched on northern approaches [for] 15 to 25 minutes' warning time" also provided Project Space Track satellite data. Gee, sometimes written GEE, was a radio navigation system used by the Royal Air Force during World War II. It measured the time delay between two radio signals to produce a fix, with accuracy on the order of a few hundred metres at ranges up to about 350 miles (560 km). It was the first hyperbolic navigation system to be used operationally, entering service with RAF Bomber Command in 1942. The low-UHF band Würzburg radar was the primary ground-based gun laying radar for the Luftwaffe and the Wehrmacht Heer during World War II. Initial development took place before the war and the apparatus entered service in 1940. Eventually over 4,000 Würzburgs of various models were produced. It took its name from the city of Würzburg. The history of radar started with experiments by Heinrich Hertz in the late 19th century that showed that radio waves were reflected by metallic objects. This possibility was suggested in James Clerk Maxwell's seminal work on electromagnetism. However, it was not until the early 20th century that systems able to use these principles were becoming widely available, and it was German inventor Christian Hülsmeyer who first used them to build a simple ship detection device intended to help avoid collisions in fog. Numerous similar systems, which provided directional information to objects over short ranges, were developed over the next two decades. Duga was a Soviet over-the-horizon (OTH) radar system used as part of the Soviet missile defense early-warning radar network. The system operated from July 1976 to December 1989. Two operational Duga radars were deployed, one near Chernobyl and Chernihiv in the Ukrainian SSR, the other in eastern Siberia. The SCR-268 was the US Army's first radar system. It was developed to provide accurate aiming information and used in gun laying systems and directing searchlights against aircraft. Linesman/Mediator was a dual-purpose civil and military radar network in the United Kingdom between the 1960s and 1984. The military side (Linesman) was replaced by the Improved United Kingdom Air Defence Ground Environment (IUKADGE), while the civilian side (Mediator) became the modern public-private National Air Traffic Services (NATS). The SCR-584 was an automatic-tracking microwave radar developed by the MIT Radiation Laboratory during World War II. It was one of the most advanced ground-based radars of its era, and became one of the primary gun laying radars used worldwide well into the 1950s. A trailer-mounted mobile version was the SCR-784. Radar in World War II greatly influenced many important aspects of the conflict. This revolutionary new technology of radio-based detection and tracking was used by both the Allies and Axis powers in World War II, which had evolved independently in a number of nations during the mid 1930s. At the outbreak of war in September 1939, both Great Britain and Germany had functioning radar systems. In Great Britain, it was called RDF, Range and Direction Finding, while in Germany the name Funkmeß (radio-measuring) was used – whereas given apparatuses were called Funkmessgerät . By the time of the Battle of Britain in mid-1940, the Royal Air Force (RAF) had fully integrated RDF as part of the national air defence. The Daryal-type radar is a Soviet bistatic early-warning radar. 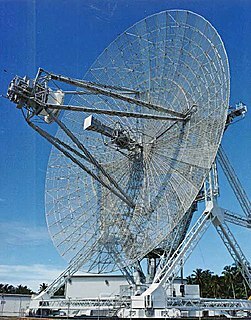 It consists of two separate large active phased-array antennas separated by around 500 metres (1,640 ft) to 1.5 kilometres (4,921 ft). The transmitter array is 30 m × 40 m and the receiver is 80 m × 80 m in size. The system is a VHF system operating at a wavelength of 1.5 to 2 meters. Its initial transmit capacity was 50 MW with a target capacity of 350 MW. Dnestr radar and Dnepr radar, both known by the NATO reporting name Hen House are the first generation of Soviet space surveillance and early warning radars. Six radars of this type were built around the periphery of the Soviet Union starting in the 1960s to provide ballistic missile warnings for attacks from different directions. They were the primary Soviet early warning radars for much of the later Cold War. In common with other Soviet and Russian early warning radars they are named after rivers, the Dnestr and the Dnepr. German Luftwaffe and Navy Kriegsmarine Radar Equipment during World War II, relied on an increasingly diverse array of communications, IFF and RDF equipment for its function. Most of this equipment received the generic prefix FuG, meaning "radio equipment". During the war, Germany renumbered their radars. From using the year of introduction as their number they moved to a different numbering scheme. IFF Mark II was the first operational identification friend or foe system. It was developed by the Royal Air Force just before the start of World War II. After a short run of prototype Mark I's, used experimentally in 1939, the Mark II began widespread deployment at the end of the Battle of Britain in late 1940. It remained in use until 1943, when it began to be replaced by the standardized IFF Mark III, which was used by all Allied aircraft until long after the war ended. The AMES Type 85, also known by its rainbow code Blue Yeoman, was an extremely powerful early warning (EW) and fighter direction (GCI) radar used by the Royal Air Force (RAF) as part of the Linesman/Mediator radar network. First proposed in early 1958, it was eleven years before they became operational in late 1968, by which time they were already considered obsolete. The Type 85 remained the RAF's primary EW and GCI radar until it was replaced by Marconi Martello sets in the late-1980s as part of the new IUKADG network.